THE Quezon Institute (QI) property is not for sale. That’s according to some officials of the Philippine Tuberculosis Society Inc. (PTSI), which operates and manages QI. PTSI has been at the forefront of the anti-TB campaign in the country since 1910. But sources in the PTSI said the organization is looking at a possible “co-development” of the property with a real-estate firm. Talk has been rife among the tight-knit community of Filipino heritage conservationists that PTSI had already sealed a deal in December 2010 to sell the property to Ayala Land Inc. (ALI). This has been denied by some ALI and PTSI officials, however. Jorge Marco, ALI head for corporate communications, told the BusinessMirror that no sale has been finalized. “I’m sure, when appropriate, we’ll make the proper disclosures,” he said. But he confirmed ongoing “talks or discussions” between ALI and PTSI about the QI property. 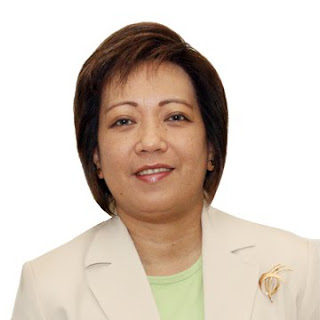 For her part, PTSI executive director Elizabeth Cadena said, “[the deal with Ayala Land] is not true.” Asked if there were any negotiations ongoing with ALI, she expressed her displeasure at the question by hastily showing this reporter out of her office at the QI. She refused to further answer inquiries, and merely wrinkled her mouth and shrugged her shoulders when asked who exactly this reporter could direct her questions to with regard to the issue. The 6.5-hectare property along E. Rodriguez Avenue, barangay Tatalon, Quezon City, is worth anywhere from P2.3 billion to P5 billion, based on Bureau of Internal Revenue zonal values, and the market price of commercial real-estate developments in said area. The board member added that there has also been another proposal from another real-estate firm for “co-development” of the QI property which the board is considering, “but nothing has been finalized.” The board member declined to reveal the identity of the other developer. The board member added that PTSI is “keeping our options open [regarding the property], but we’re not going to sell. It’s our mission to help treat TB….We don’t want to lose our primary resource for TB control.” The TB problem in the Philippines has yet to be totally licked as cases now involve resistant strains “that are very difficult to control,” the board member said. An official of the PTSI who requested anonymity, likewise, told the BusinessMirror: “There are many who are interested in the QI property but we’re not selling. We only sold [a portion] to Puregold because we had to. We had precarious finances then; employees were going on strike because we couldn’t pay their salaries.” There are about 100-plus employees at QI. While there are foreign funds that support PTSI’s anti-TB projects, as well as government support, the official said these were still not enough to address the TB problem in the country. Keeping the property and raising funds through it could help PTSI continue its anti-TB projects, the official indicated. Meanwhile, a source in ALI said that instead of purchasing the QI property, the real-estate firm can also go into a “joint development” with the PTSI. This means ALI can lease the property from PTSI and use the rest of the lot to build condominiums, a mall, offices and other commercial establishments. Ayala Land has a similar venture with the University of the Philippines for the UP-Ayala Land Technohub along Commonwealth Avenue in Diliman, Quezon City. The technohub—home to business-process outsourcing offices as well as restaurants—occupies 20 hectares, but the entire UP North Science Technology Park is 37.5 hectares. Another codevelopment project between ALI and UP is for the university’s property along Katipunan Road, also in Quezon City. ALI has been eyeing the QI property for a mixed-use development project. 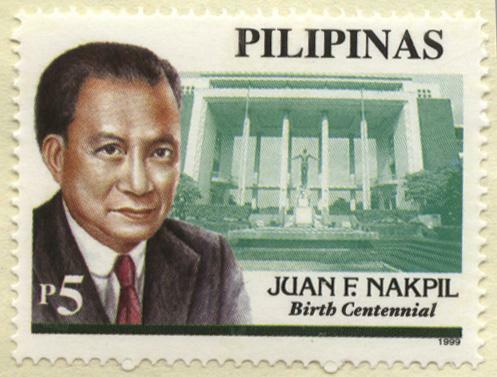 The main building of QI was designed by National Artist architect Juan F. Nakpil in the 1930s. The other buildings such as the adjacent pulmonary hospital was built in 1938, according to a marker on its façade. The building which housed the PCSO was also built around the same time, as per the NHCP. As such, the buildings and their environs are automatically protected from any unauthorized sale or renovations as per Republic Act 10066. If found guilty, violators will be fined not less than P200,000, or jailed not less than 10 years. Nakpil’s other major works include the Geronimo de los Reyes Building, Magsaysay Building, Rizal Theater, Capitol Theater, Captain Pepe Building, Manila Jockey Club, Rufino Building, Philippine Village Hotel, University of the Philippines Administration and University Library, and the reconstructed Rizal house in Calamba, Laguna.